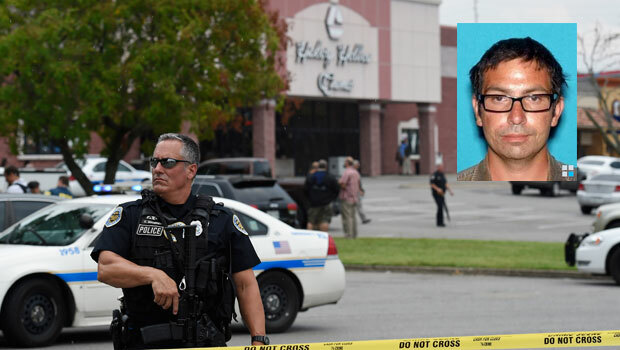 ANTIOCH, Tenn. - A man armed with a hatchet and a pellet gun unleashed a volley of pepper spray at audience members inside a Tennessee movie theater Wednesday before being fired at by a police officer and shot dead by a SWAT team as he tried to escape out a back door, police said. Late Wednesday, Metro Nashville police identified the suspect as 29-year-old Vincente David Montano of Nashville. His motive remained unclear, police spokesman Don Aaron said. "This individual has had significant psychiatric or psychological issues," Aaron told reporters Wednesday night. "He had been committed four times, twice in 2004 and twice in 2007," and also was arrested in Murfreesboro in 2004 for assault and resisting arrest. Montano was reported missing on Monday, CBS affiliate WTVF reported. Officials believe his mother called police after having trouble reaching him. According to police, Montano was carrying two backpacks, one of which hung from his chest, and he wore a surgical mask, possibly to protect himself from the pepper spray he unleashed in large amounts during the showing of "Mad Max: Fury Road," Aaron said. Earlier reports described the assailant as 51 years old. Police initially said he was armed with a handgun but later tweeted a photo of the suspect's weapon, saying it was a pellet gun. Police officers responded within two minutes of getting a call of an active shooter, in part because a pair of officers were already working an accident nearby by, Aaron said. One officer initially encountered the suspect inside the theater and opened fire. Officials said the immediate danger of the situation has passed once the shooter was killed. Bomb squad personnel later detonated one of the suspect's backpacks. Aaron said it contained a "hoax device" and posed no danger. Another parcel in the back of the theater was still being examined. WTVF reports authorities said two women and a man were doused in the face with pepper spray by the suspect. All three were treated at the scene and did not require hospitalization. The male victim, identified only as "Steven," also suffered a minor laceration from the hatchet, said he was "eternally grateful" for the quick police response. "Obviously he has some mental problems," he said, referring to the suspect, adding he is "very grateful no one else got injured," and thanked other moviegoers who helped him and his daughter during the attack. The latest shooting comes about two weeks after a gunman opened fire inside a movie theater in Lafayette, Louisiana, during a screening of the film "Trainwreck." Police said John Russell Houser killed two people and wounded nine others before fatally shooting himself. Also Wednesday, jurors in Colorado were preparing to decide whether James Holmes should be executed for murdering 12 people and trying to kill 70 others in a 2012 attack at a Batman movie.